All the top highlights of the High Pyrenees - turquoise lakes, innumerable waterfalls, and the UNESCO Site of the Cirque du Gavarnie. 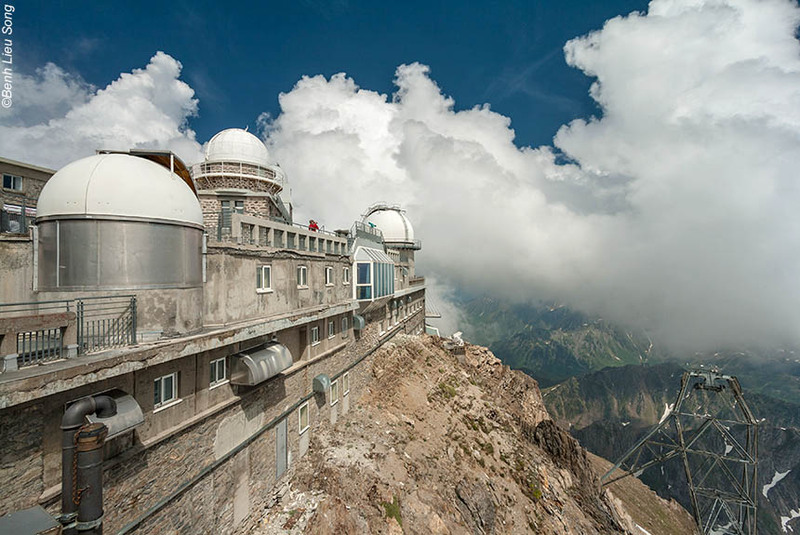 Great walking on ancient footpaths, regional cuisine, and an unforgettable night staying at the Summit Observatory of the Pic du Midi. You will be starstruck! We make it possible to enjoy discovering this wonderful region on foot by including transfers that ensure you only walk "the best bits". 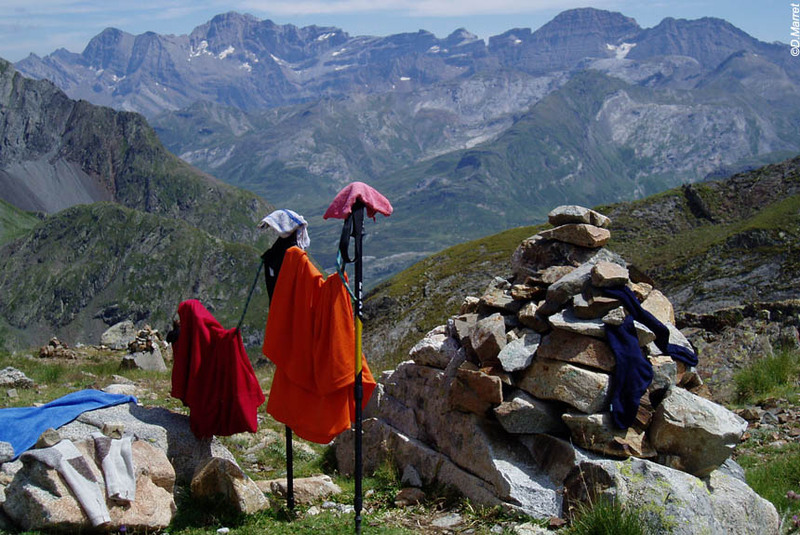 Although this is in the High Pyrenees, anyone who is reasonably fit and used to walking will find that this is one of their most memorable walking holidays ever - for all the best reasons. You also stay in good quality, authentic hotels, so your creature comforts are well taken care of. To really appreciate what this walking holiday offers, we'd suggest you read the itinerary below - then decide for yourself. The private transfers enabling you to only walk the "best bits" inevitably adds to the holiday cost, so it cannot be directly compared with apparently similar holidays. Daily transfers to ensure you experience only the "best bits"
Standard option (transfers not included): You make your own way to Cauterets (you will use your own car for the whole of the holiday). With extra airport pick-up (transfers included for the whole week): We will pick you up at Lourdes airport or railway station and drive you to Cauterets. All daily transfers are included in the price. Pick-ups also available from Toulouse, Pau or Biarritz (please consult us for prices). Cauterets is an attractive and vibrant Pyrenean mountain town, which in the 19th century was packed with Romantic authors and artists as well as the affluent bourgeoisie all "taking the waters" (what the French call "the cure") thanks to its natural, health-giving thermal springs. They would also explore the other natural wonders of the region and have a go on the funicular railway (unfortunately no longer running). You stay for the first three nights at the remarkable three star Hôtel le Lion d'Or - remarkable because its owes its existence and origins to those affluent times, and remarkable too because you walk into a seemingly brand spanking new 19th century hotel. You gradually discover that it has undergone a comprehensive and very expensive refurbishment that retains all its 19th features, yet now includes state of the art 21st century showers (to name but one thing). The restaurant too serves the sort of authentic regional cuisine that those needing to "take the cure" (then and today) appreciate. Short transfer so you can start from the photogenic stone bridge called the Pont d'Espagne with its impressive waterfalls. 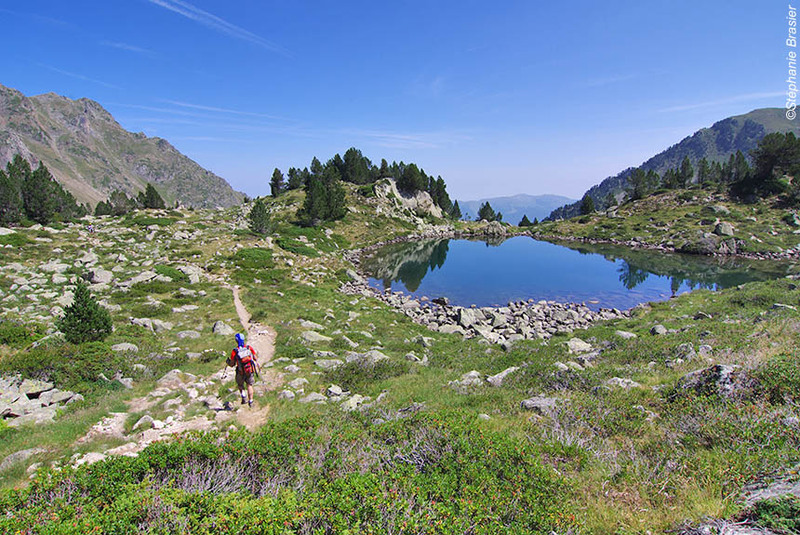 From there, you walk up through pine forests to appreciate one of the most memorable views in the High Pyrenees: the massive Vignemale mountain and the glacier of Petit Vignemale reflected in Gaube lake. After breaking the spell of that view, you follow a path alongside a tumbling torrent with frequent waterfalls surrounded by forests and alpine type meadows before arriving at the mountain refuge of Les Oulettes from where climbers often launch their attempts on the north face of Vignemale (3,000 feet of climbing heaven or hell, depending on your point of view). You then descend by delightful paths for the short transfer back to Cauterets. You will appreciate all the modern comforts of the Hôtel le Lion d'Or when you return - and thoroughly appreciate a well earned dinner. Walking time : 6h. Distance : 15,5km. Elevation : + 700m / - 700m. Transfer time : 15 minutes. After a short transfer, you stroll quietly across the Clot plateau (but not feeling like one, we hope), and then the Cayan plateau where the torrent from the slopes above snakes its way between pine trees, and forms small islands in mid-stream. The source of some of the streams you pass are the impressive Embarrat and Pourtet lakes you now reach at well over 7,000 feet (remembering that you did not start at sea level, but were already at many thousands of feet up). Rising even higher are the granite "needles" of Castet-Abarca walked on only, but not infrequently, by Pyrenean chamois. 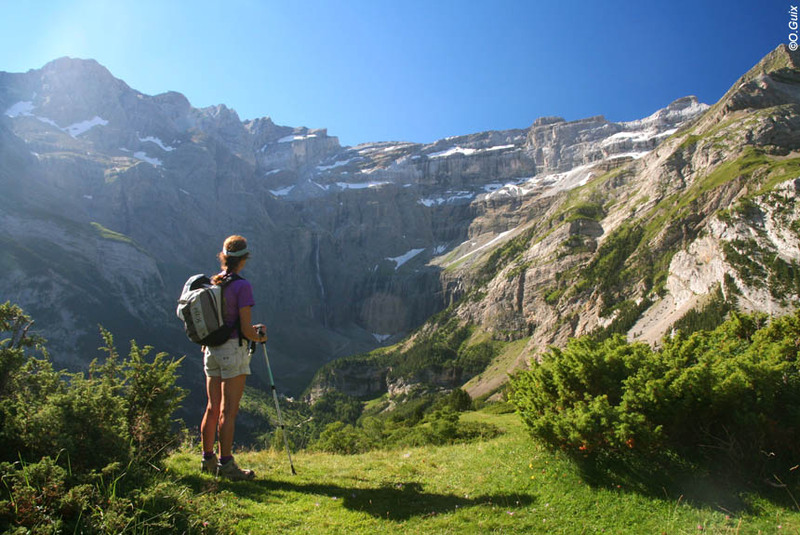 You now have the privilege of walking down the Marcadau valley, which Walkopedia says is one of the world's best walks, and Cicerone describes as a walkers' paradise, but you can decide for yourselves what you call it. As you get lower, so the pine forests reappear, and the stream gets rather more calm, cool and collected. Its here you will see the large and impressive Refuge Wallon on its literally outstanding site (drinks and snacks usually available) close to a lovely little chapel. You return to the Pont d'Espagne where we transfer you back to Cauterets. You will again appreciate all the modern comforts of the Hôtel le Lion d'Or when you return - and thoroughly appreciate a well earned dinner. Walking time : 5h or 6h30. Distance : 16km or 19,5km. Elevation : + 400 or + 960m / - 400m or - 960m. Transfer time : 15 minutes. Today we visit what most people regard as the most exceptional and memorable site in the whole of the Pyrenees. We drop you off in the village of Gavarnie (or self-drive for the standard option) from where you walk fairly gently up a wide path on a mountain "balcony" to the Bellevue plateau with privileged panoramas of the high mountain scenery all around you. From the top, you descend into the centre of the enormous natural "amphitheatre" that is the Cirque du Gavarnie with its myriad waterfalls - many impressively long and powerful - sheer bare rock cliffs, and contrasting peaceful valley bottom. The appropriately named Grande Cascade at about 1,300 feet is over 300 feet higher than the Eiffel Tower (300 feet! ), and one of the highest in Europe. The bucolic final section is along the valley bottom, or, more challengingly, by the Espugues route, which follows an attractive rocky balcony path. Either way you arrive at Gedre-Gavarnie village. Truly memorable, we are confident you will agree. You stay two nights at the recently refurbished, very comfortable and renowned three star Hôtel de la Brèche de Roland with its impressive and enjoyable restaurant serving local traditional dishes transformed into contemporary masterpieces by chef-owner Philippe Pujo. The Brèche de Roland - Roland's Breach - is a 40 metre wide, 100 metre high gap in the cliffs dividing the two sides of the High Pyrenees, and legend claims it was cut by Count Roland using his sword Durendal after losing the 8th century Battle of Roncesvalles. Walking time : 5h or 6h. Distance : 9,5km. Elevation : + 500m or 750m / - 500m or 750m. Transfer time : 1 hour. 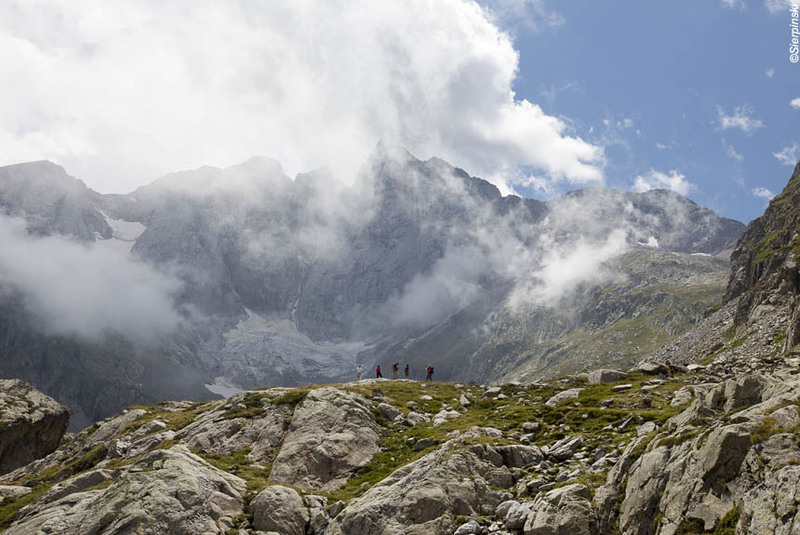 A beautiful walk from the hamlet of Héas, passing herds of summer pasturing long horned cattle and up to the incredible glacially created "arena" that is the Cirque de Troumouse (rising to almost 10,000 feet all around you). There can be no doubts about why this whole area is a UNESCO World Heritage Site. You walk across the plateau in the middle of the Cirque with its wildflower meadows and streams before arriving at the Aires lake where there is also a refuge cabin. Having spent plenty of time taking it all in, you now descend down good footpaths back to Héas. Don't forget to visit the 16th century pilgrimage chapel built to house a wooden Black Madonna found by local shepherds, and which miraculously (say some) survived an avalanche. The welcome comforts of the Breche de Roland await you. Walking time : 5h. Distance : 12km. Elevation : + 600m / - 600m. Transfer time : 30 minutes. Today you walk mainly in the wonderful Ets Coubous valley, which offers a succession of lovely lakes where the colour of the water and the reflections change as you walk by. It is an altogether enjoyable walk that enables you to really immerse yourselves in the endless panoramas and beauties of the High Pyrenees. Thoughts of home and work seem a million miles away, and you will hopefully fully appreciate the tranquillity that comes from being among, and almost part of, these magnificent mountains. But now a change of pace is forced upon you as we transfer you (or self-drive for the standard option) to the village of La Mongie, itself a ski resort at 6,000 feet, where you take the cable car up and up and up another 4,000 feet to the summit of the Pic du Midi de Bigorre for your unforgettable night "among" the stars. The Observatory was begun in 1878, and its telescope was funded by NASA to photograph the moon in preparation for the Apollo landings. Now it is primarily used for visitor purposes you will be pleased to learn, and has a new planetarium experience. The daytime views across what feels like endless miles of mountains is matched at nightime by almost literally endless views of the stars - crisp, clear and apparently very close due to your altitude and the absence of light pollution. The Hôtellerie du Pic du Midi right by the Observatory offers a welcome cocktail to enjoy as you stand on the terrace watching the sun go down. After dinner, you are given a guided "tour" of the heavens, and a privileged visit inside the Observatory itself. Walking time : 4h30. Distance : 11km. Elevation : + 800m / - 800m. Transfer time : 1h15. On your descent of the Pic du Midi, via the historical "Chemin des Muletiers" (the "Muleteers' Path"), originally taken by the men who built the observatory, you will walk down past the Hôtellerie des Laquets (old, unused hotel) before coming to the ruins of the former observatory at the Col de Sencours. The descent continues down through a gorgeous valley, through high-altitude grazing areas and shepherds' huts, but it is also possible to take the cable car down. Transfer to Lourdes. Walking time : 4h30. Distance : 10km. Elevation : - 1500m. Transfer time : 1 hour. Standard option: Your holiday ends after breakfast. You will still have your car with you. With extra airport pick-up: After breakfast, we will pick you up and take you to Lourdes airport or railway station. Transfers also available to Toulouse, Pau or Biarritz (please consult us for prices). Transfer time : 20 minutes. This holiday features mainly comfortable, but some challenging walking, so is suitable for people who are reasonably fit, and used to walking (albeit "gently") for much of a day. On most days there are choices of itineraries, which you can decide for yourselves each day. It can get hot in July and August, as well as more crowded. We would recommend June and from mid August through September as the best months. We will transfer your luggage between each hotel, so all you need to carry when walking is a daysack with whatever you regard as essentials. This does not apply to the night on the Pic du Midi when you will need to carry any washing essentials and clothing changes you consider necessary. Unless using the self-drive (standard) option, we will transfer your luggage between each hotel, so all you need to carry when walking is a daysack with whatever you regard as essentials. You stay in double or twin en suite rooms for 6 nights in three star hotels, and one night in a room at the Observatory. 7 nights dinner, bed and breakfast; people and luggage transfers (only if you have chosen the "extra airport pick-up" option); detailed walking instructions; 1:25,000 IGN map; 24/7 customer phone service. People and luggage transfers (except if you have chosen the "extra airport pick-up" option); lunches except when picnics are included; drinks with meals; non-standard menu items; entry fees; personal and travel insurance.